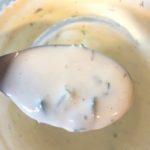 Making dressings as at home is just one of those things that you should do. It’s not only healthier but it’s also more economical. However, I don’t always do it. It is often easier to grab a bottle from shelf and be done with it. But, for special occasions I do try to make my own at home and more often than not, I’m happy I did. Homemade dressings are so delicious, simple and endlessly customizable. 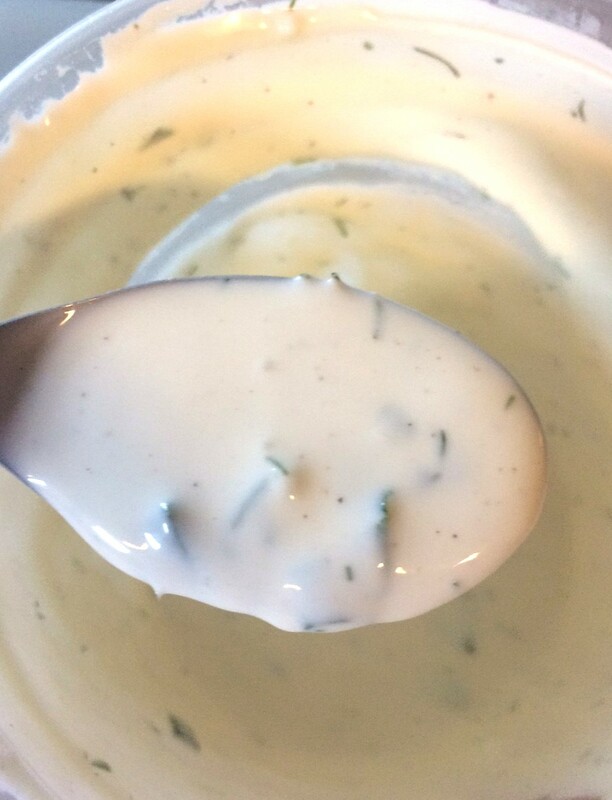 I made this buttermilk ranch dressing yesterday to go on my Chicken, Avocado and Bacon Sandwiches I served at my 4th of July BBQ.. The creamy and tangy dressing was the perfect compliment to the hearty sandwiches. This dressing is also delicious on any salad or in a buffalo chicken wrap! Next time you find yourself reaching for a bottle, re-think it and make your own dressing. You won’t be sorry you did! 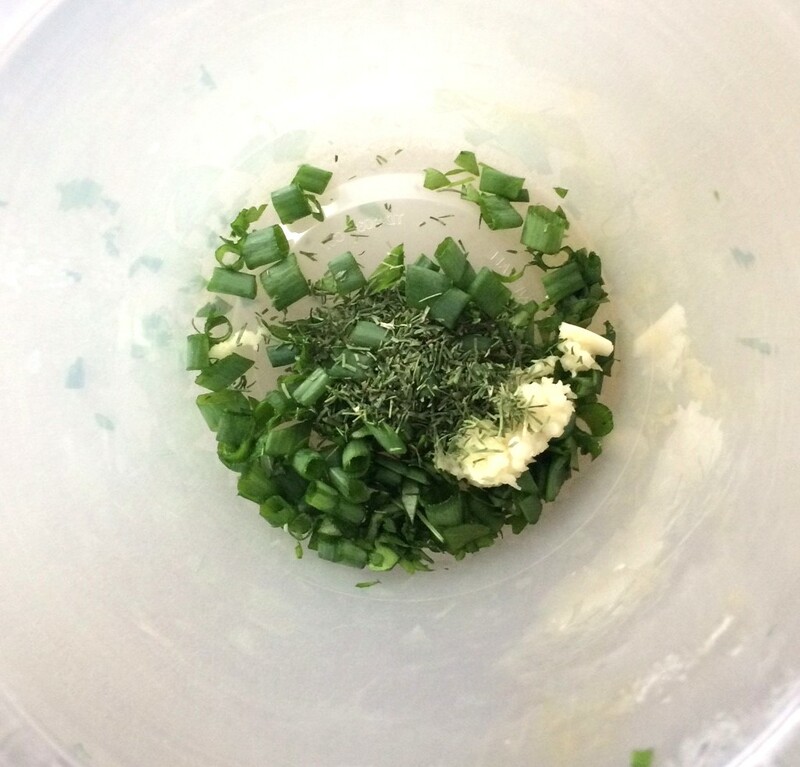 Get your herbs and garlic chopped up and you’re more than halfway done! Creamy, tangy and way better than store bought. Place all ingredients in a container with a lid.